We can immediately see we need to take manual steps to get Windows 10 working with Essentials R2. Those steps are to download the client connector manually and run it, on the client, without visiting the /connect website. 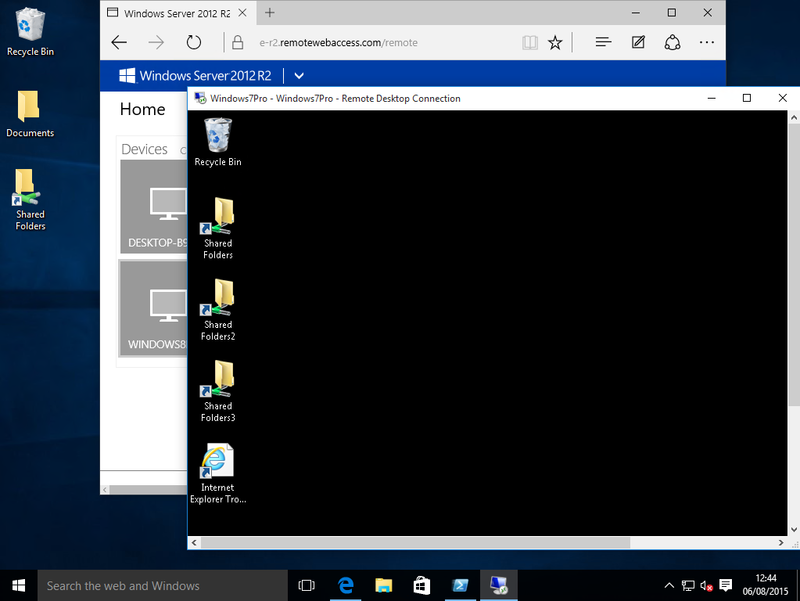 For a Windows 10 x64 machine download the client here. Needless to say i shall be focussing on the x64 bit version. So hitting that link will download the file, now my newness to Windows 10 shows here, as i expected a popup or message to ask me if i wanted to save or run the file, so i ended up with two downloads. Once at least one of these has downloaded, run the program. The update should install quite quickly. Once this is done, YOU ARE NOT FINISHED! 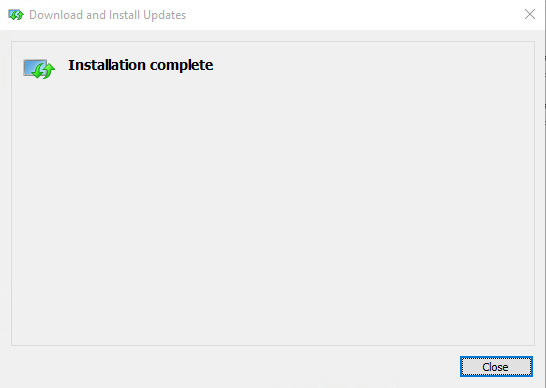 This only installs the connector software.We need now to actually use the connector software to join to the Essentials Server. 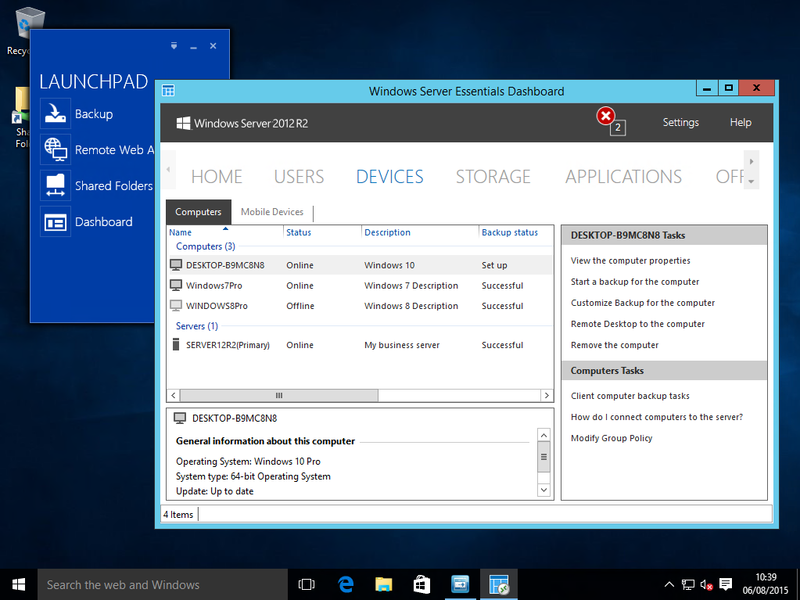 Find Your new apps, and expand Windows Server Essentials, Run the Essentials Program. It should automatically detect your server on the local LAN. If it doesn’t that may indicate an issue you should investigate before proceeding. 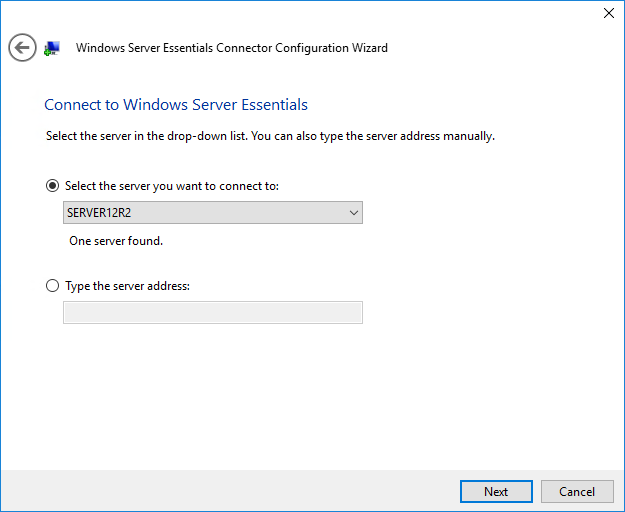 The option to manually enter in the server address is available, however i would only use that myself if i was sure the Essentials Server was functioning correctly. The remainder of the wizard is identical to any other client installation. Once it has completed, we can see that the Windows 10 client appears in the Dashboard as expected. Next we try to launch the Dashboard from the Client. Next we switch our attention to Client PC backup. Since i still had the Dashboard open on the client i launched a manual backup from there. Which completed in about 15 minutes. So that all checks out, and quite right too. Now i will move on to testing the RWA. 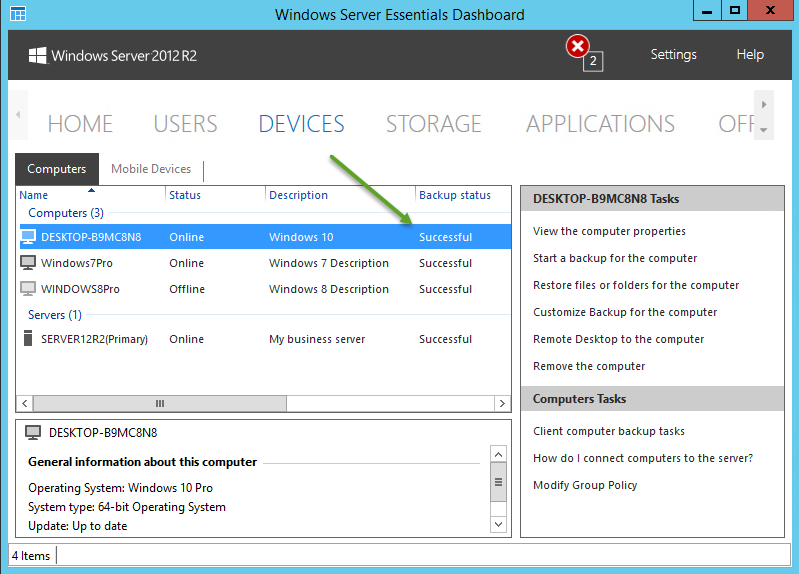 Given i have already tested this using SBS 2011 Essentials, and Server 2012 Essentials, i have no reason to expect that 2012 R2 will be any different. 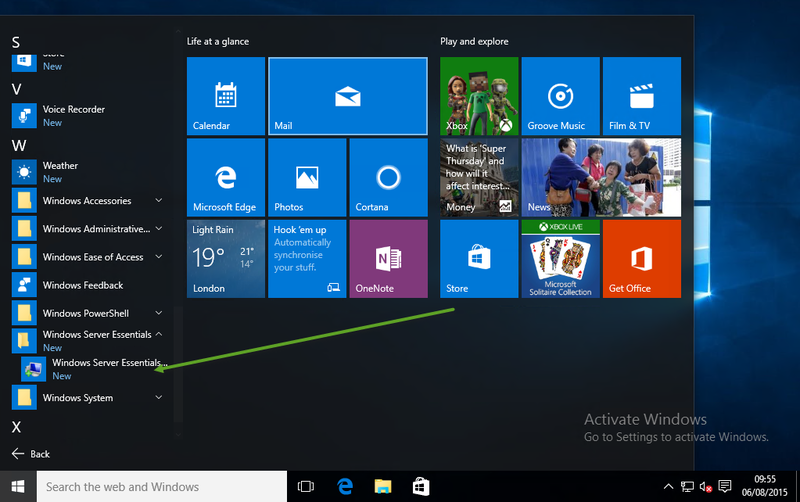 Firstly the Windows 10 client appears in the RWA, and also shows as available. But when trying to connect, i got this error. I verified i could RDP internally to the Windows 10 Client, which rules out authentication, rdp being disabled, and firewall issues. Leaving RDP Gateway as the culprit. Sure enough, the alert viewer on the server confirms the same. Running a repair of the Anywhere Access settings, sorted that out and i was able to connect. Next test is to move the Windows 10 to an external network, check the LAN Configuration Service and RWA to an internal client. Interestingly it looks like i had disabled the LAN Configuration Service on the Server, as it was not configured at all on the Windows 10 machine, so i will come back to that. Logging in to an internal Client worked without any issue at all, and so did uploading files to the RWA. Switching our attention back to BMR, we can see how smoothly the process runs. Again having done this already for 2011 and 2012 i expect this to be the easiest of the 3. 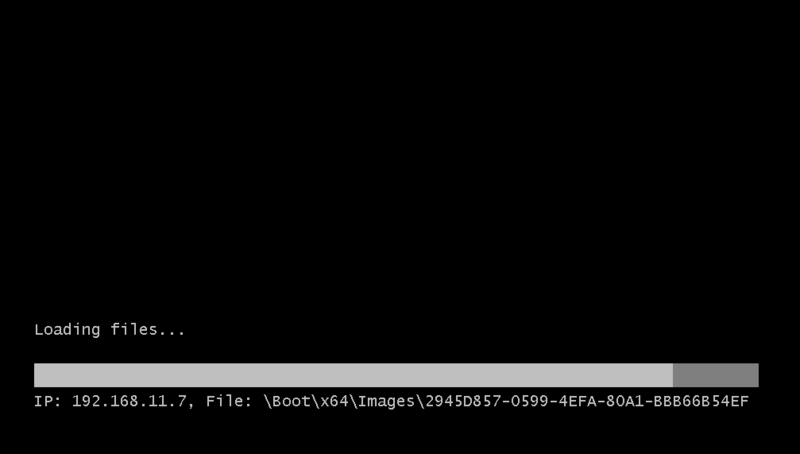 Of course with 2012 R2 we have the luxury of using the WDS/PXE based Client Restore environment. 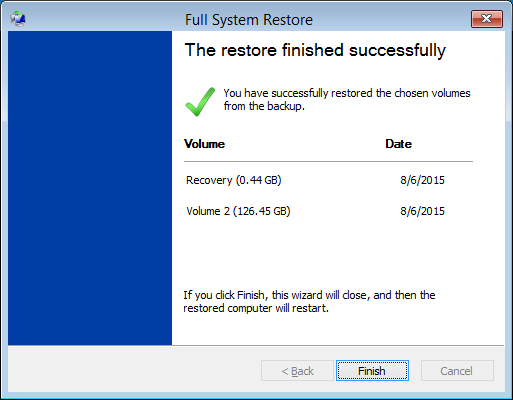 Once that was done the restore completed successfully! Going back to the LAN Configuration Service, i did not uninstall the connector, i just reused the program we downloaded originally and ran it again. It reinstalled the connector for me, and i was able to verify that the DNS Server address was managed successfully when moving between internal and external networks. The last test is to rename the client PC. Which was as simple as renaming the PC. One other item we need to look at is the Folder Redirection GPOs setup by the Essentials Dashboard. I have written about these several times before and how to tweak the WMI filters so that they apply to a additional OS’s, or to create an additional filter to apply to a certain OS. This should mean any version of Windows higher than Windows 7. We see here the WMI Filtering has denied the folder redirection policy on our Windows 10 client, but applied it on our Windows 8.1 client. I was thinking that because the major version number has changed from 6 to 10 it explained why this filter no longer works. No matter how i tried to rationalise it, i came back to the same conclusion which is, a bug in WMI or the query language, as 10 definitely is >= 6. In fact having spent a few minutes looking at it, i think it is a bug, because on my Windows 10 machine, this query works. Which it should not! Because 10 is not < 6. So for the time being at least, follow Yves suggestion in the comments below to modify your WMI Filter. Please see below comment from Gary and link to grouppolicy.biz which explains a little more about the issue. 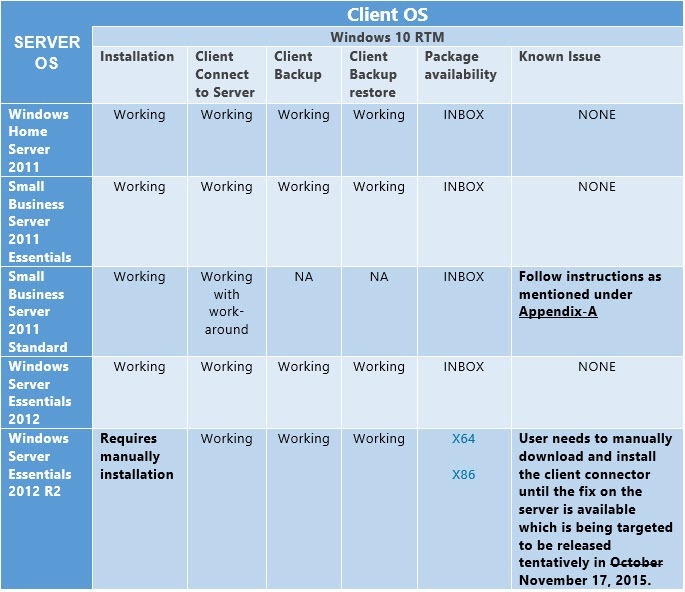 I think that about covers Windows 10 and Server Essentials 2012 R2. If you think i have missed anything, please let me know! Do you know what might be causing this issue? Good one, I will add that in. The wizard is built with certain OS’s in mind, much like the Windows 7 Pro Pack for SBS 2011 Essentials. So I suspect the Dashboard will say N/A and we won’t be able to change that, but as you suggest tweaking the WMI filter to include Windows 10, or creating a separate GPO and WMI for Windows 10 will solve it. Hi, according to this source (http://www.grouppolicy.biz/2015/05/how-to-apply-wmi-filter-to-windows-10-or-windows-server-2016/) the problem is that the WMI filter is evaluating the Version number as a string, not a numeral. That is why in WMI world, 10 evaluates to less than 6! Robert, thank you for these last three posts. Outstanding work – and I am not aware of anything else on the internet covering this material, especially for SBS 2011 Essentials. Great link thank you Gary. You forgot to mention about the misleading GPO status in the Dashboard. This might bring up many more questions from our community members. What do you think and could this issue be resolved? Should Microsoft be informed about these issues found so far? As a matter of fact, you did mention about the GPO status issue. I misread your reply but it is still an issue. So, how could this be resolved? I’ve tried the posted wmi filter but when saving I get syntax error on query and cannot save (server 2012r2 with essentials role installed) and cannot see why. I thought it may have been the or statement so tried or as well as OR but nothing seems to work. trying to get the essentials folder redirection gpo to work correctly and its failing due to wmi error. suppose I could just set the stock wmi ( select * from Win32_OperatingSystem where (Version >= “6.1%” ) and ProductType = “1” ) to version greater than 1 and it work (only win7 and 10 clients here) but would rather try to see why what looks like a valid string is failing. I suspect it is a problem with the way WordPress displays quote marks, It seems to convert them to speech marks sometimes. Try typing it manually rather than a copy and paste. actually I did hand type it many times as I thought of that WP issue and just after posting this (literally 60 seconds or so LOL) I found something that works. the dashboard still shows not applicable but thats minor, redirects are working correctly and gpo shows applied correctly. or it could be that you use code tags instead of pre tags. sort of a related question, while I only applied this to the folder redirect gpo should it be added to all gpo that essentials uses? thanks for the help, I may have to roll win10 out to a church (using server 2012r2 essentials not r2 with essentials role as I have here) remotely so trying to get my ducks in a row locally first. only those you want to apply to win 10.
really would be all of them to make the essentials controls work I guess, at this point I only have 1 win7 client on domain and rest are 10 now. seems to me, pure opinion, that anything essentials server applies to 7 sort of needs to apply to 10 also. I will get the new admx files for 10 added tomorrow (been so long I need to bone up on that process) and see how editing the wmi for all the essentials gpo (4 standard ones iirc) breaks things. This is a great page! well done! So I am using SBS 2011 Essentials and tried to update my WMI Filter as instructed to enable FolderRedirection in Win10, but it won’t save with the new instructions (no error, it just reverts to original lines). Things that make me go hmmm. I finally got Folder Redirection to work under Windows 10 and SBS 2011 Essentials, but I had to use specific syntax for some unknown reason, I could not update the WMI Filter the name didn’t stick, it appeared to save but reverted without warning or error. I had to add a new one for both Win 7 and Windows 10 as those are the only OS I run at the moment. I created a new WMI Filter for Windows 7 and 10 (the only OS I am using at this time). (for some reason many other queries received syntax errors that I found on the web would not work, even from Microsoft) Saved. 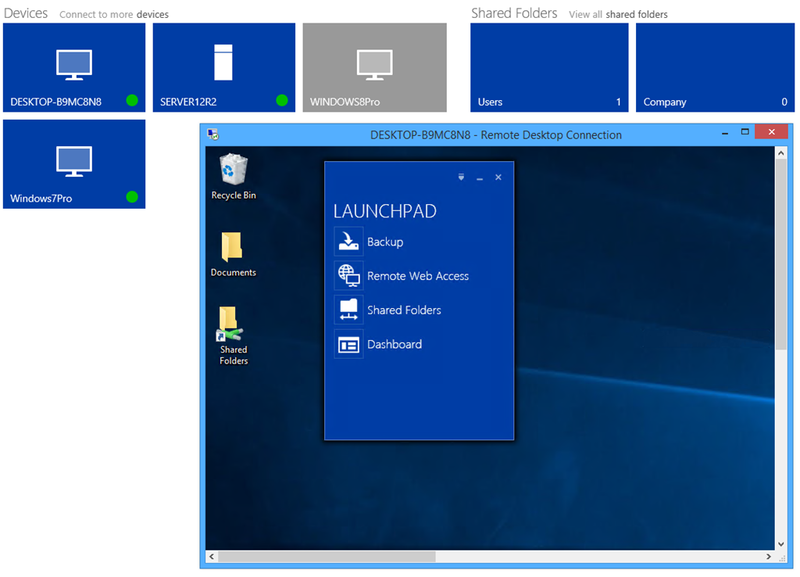 Voila, Folder Redirection in enabled Windows 10 under SBS 2011 Essentials. (side note: I fully updated Win 10 before connecting to the domain, the first W10 update broke the connection for some unknown reason). 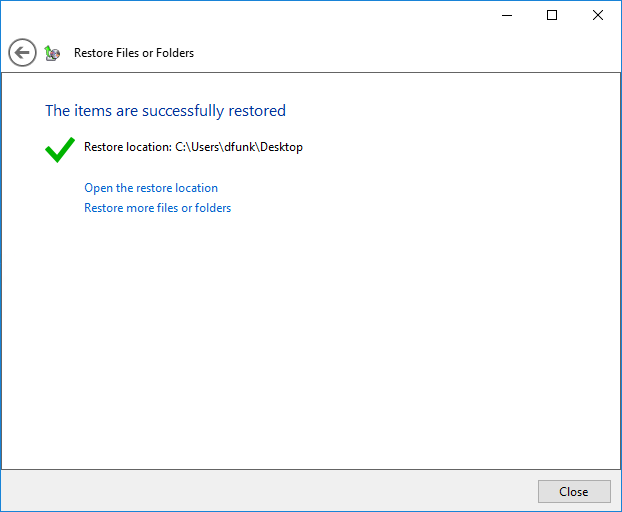 This is the most helpful information on the subject of Windows 10, SBS and Folder Redirection, so thank you! Pls keep it update as I imagine a slow trickle will speed up now that the Win 10 iso is released and more people will test it. What I meant was conversational not a specific document. You have to uninstall WDS, and Reinstall it as Standalone, not Integrated. Apologies it is not clear! Which connector did you download, is it possible you downloaded the x86 instead of x64 etc? If I only want the gpo I created for Windows 10 to apply to Windows 10 clients would this WMI query be correct: Select * from Win32_OperatingSystem where Version LIKE ’10.%’ AND ProductType = ‘1’? I have noticed that all my workstation clients on my WSE 2012 R2 network are now saying i can upgrade them to windows 10! 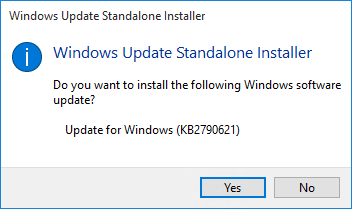 does this mean that my server has all the required updates to it now to support windows 10 clients automatically? i’ll give it a try! Not as far as I know, but MS rarely tell us anything so could well be. I just tested this on a Win 10 install to a 2012 Server that was just updated. 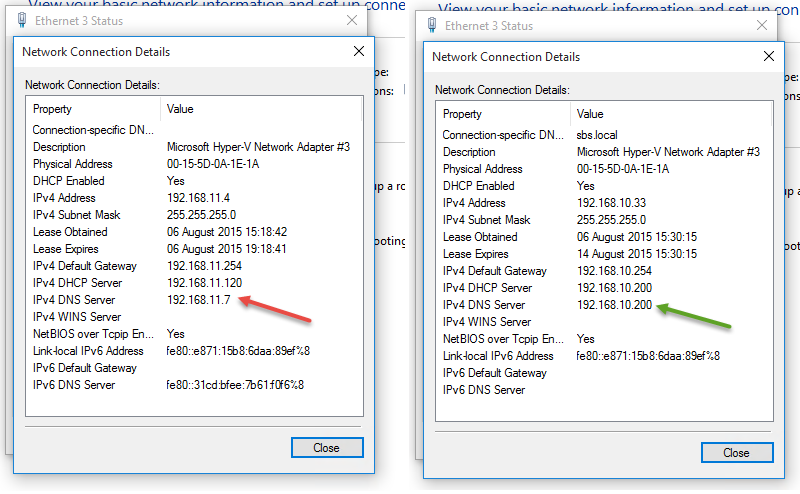 Still no native connector on the server, just Win 8.1. 2012 does have a native connector for Windows 10, only 2012 R2 requires the additional download. Hello, I applied the new update to a newly installed Windows Server 2012 essentials R2 and created a standard test user in the dashboard but when use this user on a newly installed Windows 10 Computer to join the domain on the WIN2012ER2 the user is joined as an administrator. PS I did not enable Group Policy for (Updates, Firewall or Windows Defender). I then created a Local Standard User in Windows 10 and used that user to join the domain buy yet again the user got admin rights on the windows 10 computer. Latest updates to Windows 10 leaves the WSE Connector broken for more than 6 mos now. Strange not working for me on 2 different servers and 5+ Windows 8.1/10 workstations. 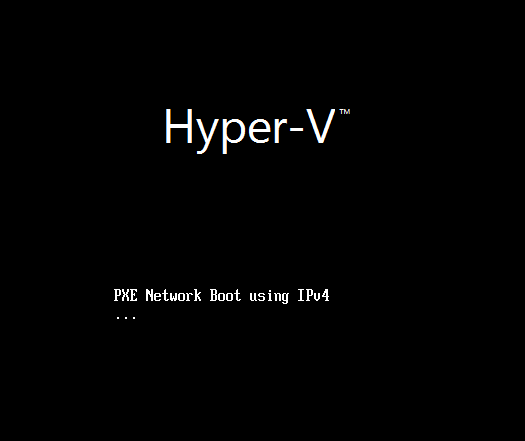 I have (2) HyperV Windows Server 2012 R2 Guests that I have tested and I cant get any progress with the latest updates. Has to be something with my HyperV configuration or hardware… HP Proliant ML150 G6 / 2x Xeon / 46Gb ram… Dynamic Host Drive maybe causing issues? I am simply at a loss… been troubleshooting for days and have rolled back several times trying new things each time. Need to see the client logs really, can you upload them somewhere? I think you have already seen the logs… let me know if you need more. I have a small network with 20-30 clients and one hp DL380 server. All of my Windows 10 client join perfectly with the WSE connector. My only issues are that they don’t say Group Policy is applied, which is weird cause it does apply and is applied. Also I notice that all the clients don’t wake up to update themselves automatically. this needs more investigation and is probably another Group Policy, but everyone looks to be set to auto update at 3am or whatever if required, but they don’t. I did have issues with Folder Redirection when remotely connected with a laptop client (SP3), but now after doing a rebuild on that machine in the last month, I have full access to all my files as though I was in the office which is so nice as that’s how it used to be!